Be the first to hear about their new releases and deals. Download the Booksprout app and search for Shirleen Davies today! Shirleen Davies writes romance—historical western romance, contemporary western romance, and romantic suspense. She grew up in Southern California, attended Oregon State University, and has degrees from San Diego State University and the University of Maryland. Her passion is writing emotionally charged stories of flawed people who find redemption through love and acceptance. 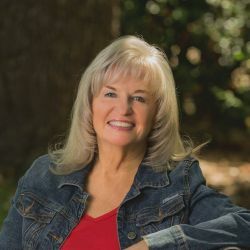 Having been on numerous bestseller lists, Shirleen currently has three series and releases several books each year. She lives with her husband in a beautiful town in northern Arizona.